Join a Guided Walk or create your own. 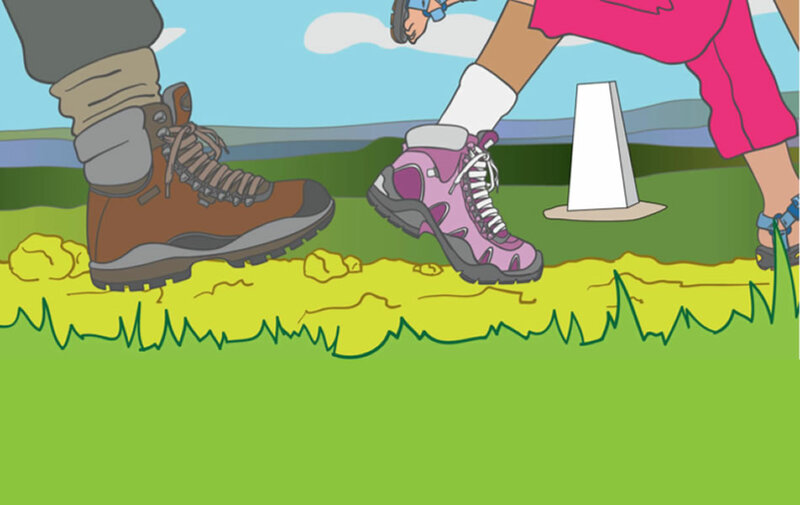 See our What’s On and DIY Walks sections for more information. This Saturday, why not buy the ingredients for a special picnic lunch from the Farmers Market (9.00- 13.00) and then enjoy a walk on Baildon Moor??? Volunteers from Baildon Walkers are Welcome and Friends of Baildon Moor have been out strimming and clearing overgrown paths on Baildon Moor this week. Why join the team at Bracken Hall Countryside Centre for stories, crafts and fun on Saturday August 27th from 10am until 11.30am. The session is completely free. Contact Helen on 07940 427229 for more information or email info@gointothewoods.co.uk. Bracken Hall Countryside Centre has lots more walks and activities over summer – see our What’s on for dates.